We must remember this when it comes to how we interact with one another…. Evil will try to convince you that there are many ways to love, to sneak in their violence in something as pure as love….but we must be able to discern the deception of evil. And this can only be done through keeping in touch with the Scriptures. 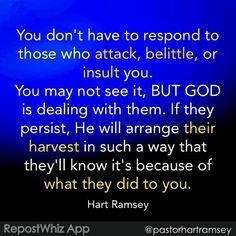 This entry was posted in Uncategorized and tagged Armor of God, Battling Evil, compassion, Devum, discern the deception of evil, discernment, enduring trials, Evil professes Self Love, evil ways are temporary, Fight over souls (good vs. evil), God's Love, God's ways are permanent, God's Wrath, Good vs. Evil, Guidance of Holy Spirit, Holy Spirit, Jehovah, Satan's deception, SELF LOVE vs. SELFLESS LOVE, Spiritual Battles, Take up your Cross, Trials and Tribulations, Unconditional Love vs. Conditional Love, Unconditional Love=Divine Source, Yahweh, Yehsuay, Yeshu Christu, Yeshua on May 10, 2018 by foodforthespiritualsoul.